Burial assistance for military veterans – and in some cases, their spouses and families – is available in a variety of forms through the Veterans Administration. To determine the amount of assistance available to you or your loved one, it is important that you have certain documentation available, beginning with military discharge papers. 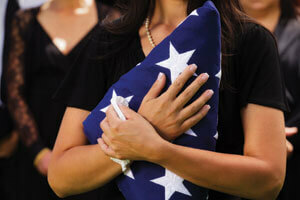 These papers confirm veterans burial assistance eligibility. If you are unable to locate them among your personal effects, you can request another copy here. When ready, we can assist you in completing all necessary applications and in making final arrangements to appropriately honor the years of dedication and service to our country.